Abortion, from its legal inception, was never from women or for women. It was forced on Americans by pro-abortion men using fabricated statistics who eventually co-opted the women’s movement of the 1960’s. The media played a willing role by headlining articles to make it appear as if the public — and specifically women — favored legalization when polls showed otherwise. A 1965 National Opinion Research Center survey found that while a majority of Americans favored abortion in certain instances, 77 percent said no to abortion even if the family could not afford more children, 80 percent said no even if the mother was unmarried and did not want to marry the child’s father, and 83 percent said no even if the woman was married and did not want any more children. The January 15, 1968, report by the Southern Illinoisan did not say how this polling broke down by gender. 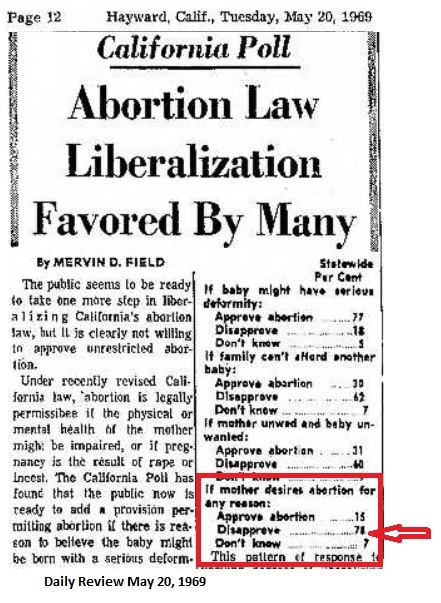 Then, in 1969, shortly after California liberalized abortion, a poll of men and women which indicated support for abortion for financial and health reasons, actually showed men and women alike overwhelmingly disapproved of abortion for any reason the mother chooses. Two years prior to Roe, a Minnesota poll conducted by Senator Eugene Mammenga asked voters if they were “in favor of a more liberal abortion law.” Out of the signed responses, the Daily Pioneer reported that, nearly 60 percent of those who approved of legalizing abortion were men. On the statement, “Any woman should be able to obtain a legal abortion from her physician on demand,” 40 percent of males disagreed but an overwhelming 56 percent of females disagreed. 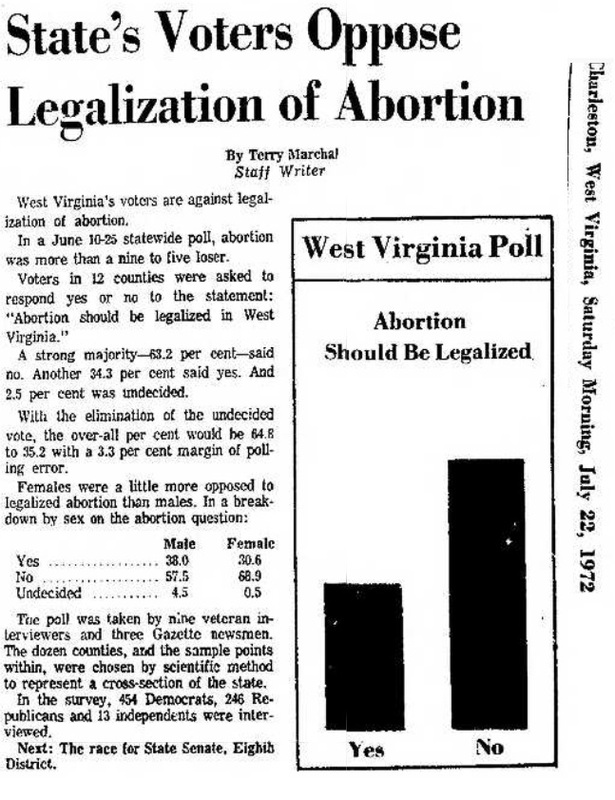 In 1972, a year prior to Roe, a statewide poll conducted in West Virginia showed that overall, the population did not favor legalizing abortion. According to a report by the Charleston Gazette, voters in 12 counties were asked to respond “yes” or “no” to the statement, “Abortion should be legalized in West Virginia.” 63.2 percent said no, while 34.3 percent said yes, with women expressing even more opposition than men. An overwhelming 68.9 percent of women opposed legalizing abortion in the state. 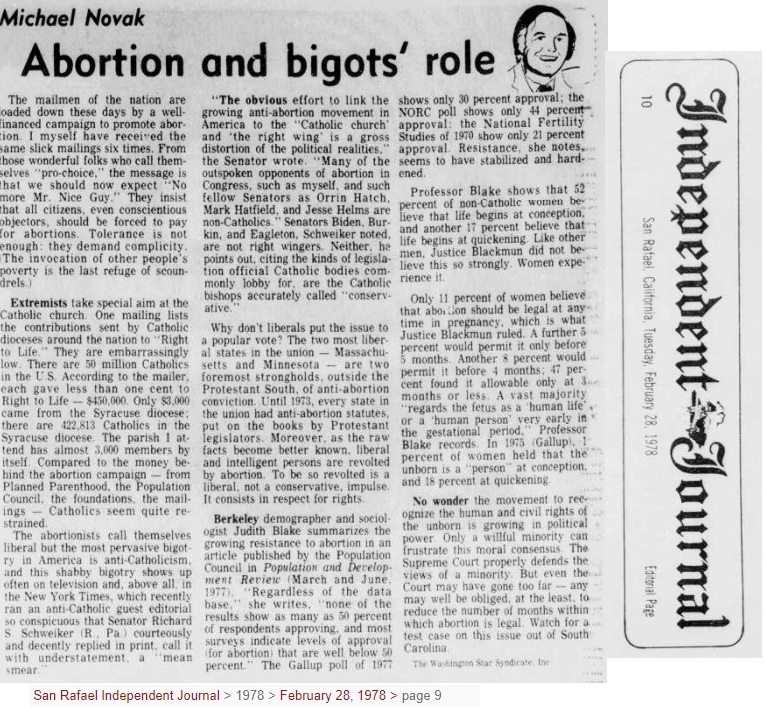 Blake was chairman of the Department of Demography at Berkeley when she reviewed years of polling of white Americans’ views on abortion, and found a significant opposition to elective abortion. A vast majority “regards the fetus as a human life or a human person very early in the gestational period,” professor Blake records. 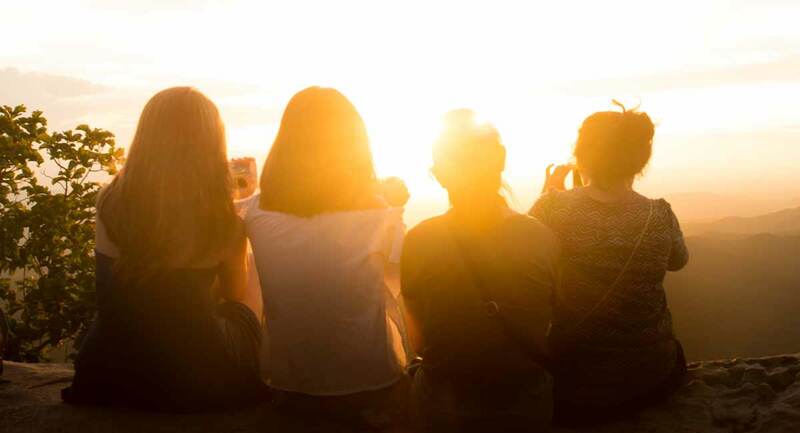 Today, after 46 years of legalization, many women are speaking out about abortion’s negative effects and coming forward to reveal the truth of what it does to preborn children. Abortion was built on lies, but it will be truth that wins in the long run.